Incepta Pharmaceuticals Ltd. is a leading pharmaceutical company in Bangladesh established in the year 1999. The company has a very big manufacturing facility located at Savar, 35 kilometer away from the center of the capital city Dhaka. The company produces various types of dosage forms which include tablets, capsules, oral liquids, ampoules, dry powder vials, powder for suspension, nasal sprays, eye drops, creams, ointments, lotions, gels, prefilled syringes, liquid filled hard gelatin capsules, lyophilized injections, human vaccine etc. Since its inception, Incepta has been launching new and innovative products in order to fulfill unmet demand of the medical community. The focus has been to bring more new technologically advanced molecules to this country. 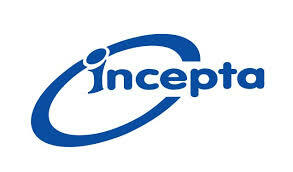 On 15th January 2011, Incepta implemented globally acclaimed ERP software system - SAP. Incepta is the first Bangladeshi company to implement SAP to manage resources throughout the company operation. This world class resource management system will allow the company to become more efficient and effective in its day to day operation. Incepta Pharmaceuticals Ltd. is now the 2nd largest company of the country and recognized as the fastest growing of the top five manufacturing company in the country. You may also know about: Incepta Vaccine Ltd.